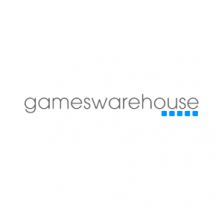 Games Warehouse is well-known to gamblers who play online and offline games. Their range of pay-to-play video terminals and reputable software developer’s customers at some online casinos and brick-and-motor establishment with high-end gaming solutions varying from quizzes to slots. The software has beautiful visuals, with the characters filled with life by amazing animations and sophisticated algorithms that offers you uncountable chances of winning. The paragon brand has set the standard of SWP (skills with price) games terminals making players invest millions of pounds in different games portfolios. The gaming software has a group of bright staffs who are expert in diverse fields like animation, design and other areas that help the platform deliver remarkable services to the gamblers. The company was formed in the year 2002 and has its headquarters in the Derby United Kingdom and an administrative office in Philadelphia. Andy Powell was the man behind the company where he acted as the managing director until 2012 when he stepped down, and a team of five executives took over. In the year 2005, the gaming site was acquired by Merit Industries which later become AMI Entertainment Network. In 2018, it was acquired by Blueprint Gaming, a well-known brand in the new online casino world. The company is committed to the highest level of securities, integrity, compliance and ethical standards. Most of their services and products are licensed from several media brands and partners with organizations like BBC, ITV, Endomol, and Professional Darts Corporation (PDC). The software provider is also licensed by the UK Gambling Commission and the Alderney Gambling Control Commission making it commit to offering high standard services as per specified regulations of permitting bodies. The most excellent factor about the provider is that they highlight their annual donations to Responsible Gambling Trust which focuses on furthering education, research, and treatment for a stronger, healthier gambling community. Games Warehouse software has several platforms where you can play incredible slots and win considerably. This software developer is successful and respected for delivering outstanding slots that ensure the players have a unique gaming experience. They provide a complete all in one package that offers everything that an igaming site requires to engages its members. They have a long list of known and high-class online casino games. The titles have artistic features with awesome graphics and beautiful animations. The themes are unique and show the expertise that was employed to design them. The software company has a handful of online slots though, and although they are not many, currently, games like Gold Strike gives more enjoyment as compared to the company’s competitors. Most of their titles are HTML enabled which means that they can be accessed from various mobile devices: Android, iPhone, and tablets. Games Warehouse Slots ensure that you can play the titles anywhere and everywhere, at the convenience and comfort of your location. On mobile platforms, the games run smoothly as they would on the desktop. The slots can detect the devise function being used and adjust according to the abilities of the device. More so, players have access to free slots which allows you to play without risking your money and if you are looking to wager there are various payment methods to fund your account. This software provider has over 50 micro gaming games that are of high-quality with a frequent release of new games. Subject to your preferences as a player, you can decide to either use the instant play mode or downloading and installing the casino’s software in your personal computer. Their slots are available in both land-based and online Games Warehouse casinos, and players have access to the conventional 5-reel slot machines. Even better, these slots come with enormous rewards and their graphics and themes will keep you playing all day and night. Some of their most played titles include the Egyptian Gold and Gold Strike which are designed in such a way that you will have the experience of a gold miner, and the rewards are a reflection of the same. Some games come with 3D graphics and exciting character /story-line themes, but regardless of the game you choose, there is a unique gaming experience. Other special effects that this provider endorses their titles which include irresistible prize reels, pick-me box rewards, and free spins. The payout and the return to player rate of these games are reasonable and the fact that they are regulated means that they are fair. Games Warehouse is definitely a warehouse with incredible slots all which are designed to provide a unique gaming experience. Although they do not have a wide range, the quality of the existing ones is worth more than having a wide collection of substandard slots. Furthermore, they are always coming up with new slots, and their incorporation of modern enhanced graphics and animations gives players something to look forward to. Their games have reasonable RTPs and payouts, and the fact that they are mobile compatible allows you to play your game on the go. They have partnered up with renowned partners such as Mr Green and LeoVegas which has enabled them to deliver amazing slots, poker, and table games that stand out.